Ever since Apple launched the iPhone 4, pixel density has become one of the big buzz-words in mobile devices. However, Casio's latest announcement (courtesy of AV Watch) shows that it has pretty much everyone in the market bested. 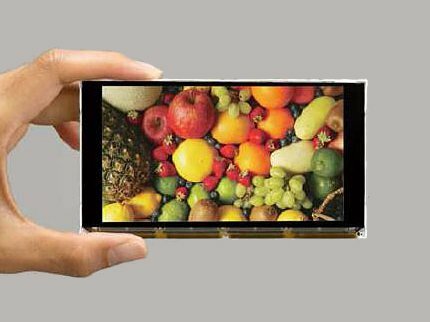 The company - via Ortustech, its joint venture with Toppan Printing - has produced a 4.8in display capable of showing an amazing 1,920x1,080px. That works out to a total pixel density of 458 pixels per inch (ppi), allowing the screen to easily surpasses the 326ppi found in Apple's Retina Display. Casio's screen is about more than just pixels, though, boasting the ability to show 16.7 million colours making up 72 per cent of the NTSC colour gamut. Even the viewing angles are very good, measuring 160° in both the vertical and horizontal planes. The underlying technology is called Hyper Amorphous Silicon TFT (HAST) which is produced using a new microfabrication technique and liquid crystal alignment technology. So are we likely to see this sort of tech in phones, tablets or MIDs any time soon? This resolution - which is either very close to, or just beyond, what the human eye can discern - seems like overkill right now, but we're certain it will be commonplace in superphones in a few generations. For now, Casio and Ortustech haven't announced any immediate plans to either start producing this panel or to use the technology commercially. However, the company will be displaying it at the Electronica trade show in Munich next month. Pfft. Where's your imagination?!? We need to think to the future, and the future means more! MOOOORRRRREEEEE!!! !